IRS Releases Common 2019 Tax Scams to Be Aware Of To help businesses and taxpayers prepare for the federal tax filing deadline next month, the U.S. Internal Revenue Service (IRS) is releasing information on 12 common tax scams to be aware of this year. 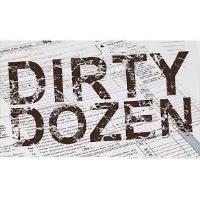 As many of these scams peak during the filing season, the IRS annually launches a “Dirty Dozen” campaign, highlighting one common tax scam a day to its online newsroom, www.irs.gov/ dirtydozen. The IRS also urges taxpayers to learn how to protect themselves by reviewing safety tips prepared by the Security Summit (www.irs.gov/securitysummit), a collaborative effort between the IRS, state revenue departments and the private sector tax community. More Information To view this year’s “Dirty Dozen” list or view lists from previous years, visit www.irs.gov/dirtydozen.